Spending time outdoors is proven to be beneficial to both your physical health and your mental well-being. 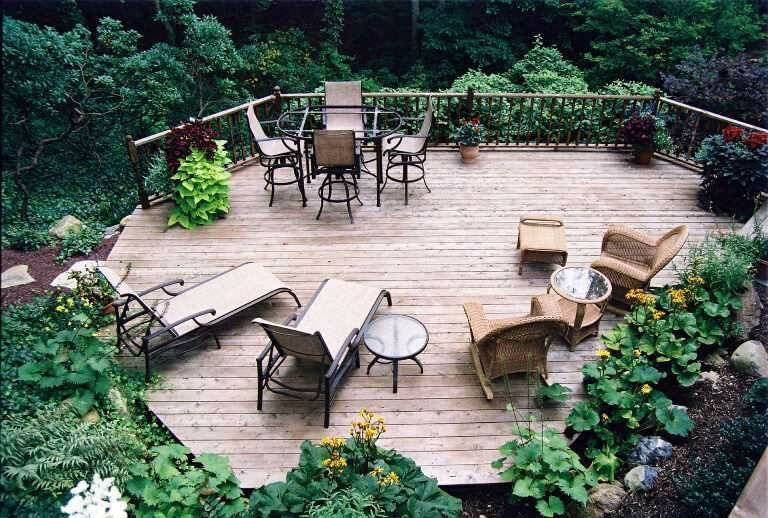 Even a small backyard space can be transformed into an oasis where you can relax, soak up some sun or revel in the sights and sounds of the flora and fauna. Current design trends support these facts with the ever-increasing popularity of the outdoor living room and outdoor kitchens. Clients still crave the comforts of home even while simultaneously yearning for fresh air and alfresco dining. 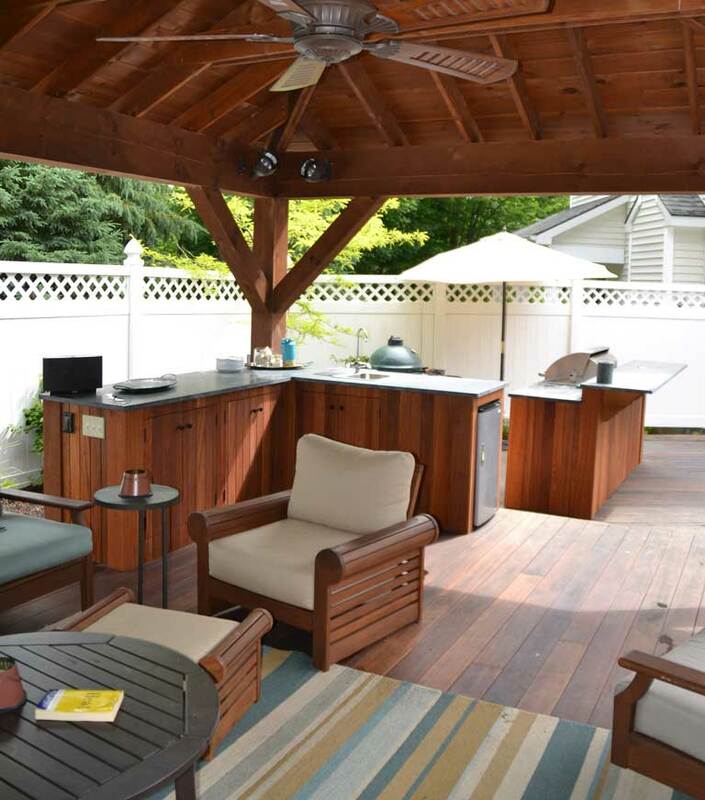 This results in outdoor rooms that resemble their corresponding interior space; furniture with thick and plush waterproof fabrics in bright colors, overhead structures to protect from the elements, outdoor TVs, light and sound systems complete with remote control, and that is all before you enter the outdoor kitchen. And let’s get started on improving your outdoor life! Redbud can help you maximize your outdoor living space. A small home can feel much larger when you expand your living area to the exterior. With Redbud, your professional designer will listen to you to understand what your lifestyle and entertaining needs are and design a space for you to enjoy your favorite pastimes. For some, that is a simple patio space with a view to sit and sip some wine, for others it might be fully outfitted chef’s kitchen complete with a built-in stainless steel BBQ, electric smoker, and a wood-fired pizza oven for endless culinary adventures. 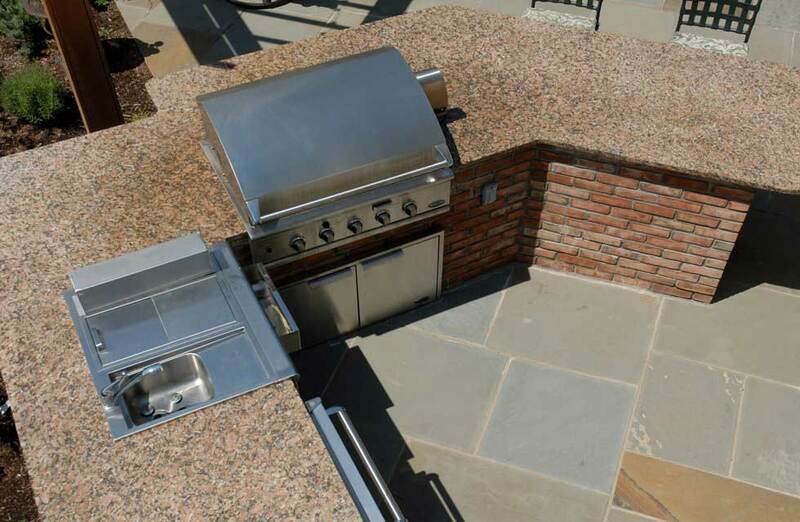 When you invest in an outdoor kitchen, it is important to consult a professional designer, like Redbud, to ensure that it meets your entertaining needs and available space. Finishing details can be modest or elaborate depending upon your budget. Kitchen design can revolve around custom hardwood cabinetry or masonry block with a natural stone veneer or a variety of other choices that can be catered to your budget. Workspace surfaces are a crucial component that contributes significantly to the look and feel of the overall kitchen design; several potentials would be granite, soapstone, concrete or an engineered solid surface material. Similarly, appliances can be restricted to a simple barbecue and sink or expanded to include the full suite of interior kitchen possibilities: refrigerator, dishwasher, kegerators, ice machines, warming drawers, etc. Kitchens aside, there are many features that are less expensive and just has trendy in outdoor living rooms such as fire places and fire pits. Even the portable propane patio heaters are gaining traction and providing homeowners with a few additional weeks of time spent enjoying their outdoor rooms.